You are about to move out of a property? Take advantage of our end of tenancy cleaning services which are available in the entire Muswell Hill plus nearby areas. We can bring your property in spick and span condition for the final meeting with your landlord. We are the leading contractors in NW10 and we have helped countless number of tenants over all these years of having been around. 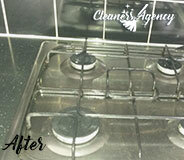 Our end of tenancy cleaning stands out with effectiveness, high quality, honesty and affordable rates. If you are interested in booking such service, all you need to do is to pick up the phone and dial our number. Our end of tenancy cleaning is highly professional and reliable. We take great pride in delivering excellent customer services and always reaching the highest levels of cleanliness. You can rely on us to get any housework done in an efficient manner as we collaborate with attentive housekeepers who are all professionally trained to the latest cleaning standards in this business. We are the company in Muswell Hill that cares about your health and we are concerned about our nature as well. For this reason we use only environmentally friendly cleaning supplies classified as green and non-harmful. The best part is that we bring all the necessary equipment with us and you do not need to paying anything additionally. Leave your property in our hands and you will see for yourself that we are worth it. We also believe that first impressions are very important. So every real estate property must be carefully cleaned in details for future tenants or potential buyers. 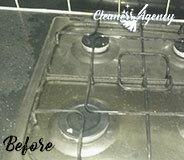 That is why our end of tenancy cleaning services are very thorough. Our task list include cleaning of all electric appliances, picture frames, light fixtures; dusting furniture; disinfecting of bathrooms (tiles, shower cabins, sinks, toilets, bathtubs); grease and mould removal; hoovering all floors (including beneath furniture and beds) and much more. Benefit from our end of tenancy cleaning services and rest assured that everything is well taken care of while you focus your free time on more urgent matters. I would definitely recommend your carpet cleaning service. The cleaned did a thorough clean of our 2-bedroom flat last month. They were punctual, efficient, very kind and professional. I have to say that the quality of their work was extremely high and I was more than impressed. I highly recommend. 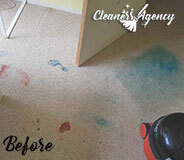 There is no doubt that you can always rely on Cleaners Agency London when you need help with a cleaning chore. Don’t waste any of your time and energy and let our professional cleaners handle any mess in your home or workplace. We have been working in this business for many years and this is why we know which tools and products can give any part of your home or office a sparkling clean look. We know that trust is important in our business and this is why we can assure you that our cleaners are very reliable and they are the best professionals in entire London. We offer a very high level of quality, however, the prices of our services are always very budget-friendly. You can be sure that we are the only cleaning company in London which can combine excellence and affordability in one service. We hope that you will give us a chance to impress you. The cleaning you need to perform before vacating your rental home is one of great importance. The proper and thorough cleansing of the entire property will eventually earn you back the full amount of your deposit. If you don’t want to undertake this tremendous chore, we suggest you employ our professional End of tenancy cleaning service in Muswell Hill to handle it for you. We are all trained and experienced cleaning specialists. Of all our cleaning staff is licensed and background-checked. They are very well-familiar with all the cleaning techniques and methods for a thorough cleansing of an entire property and its features. 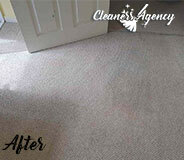 Regardless of the size or complexity of the chores, we guarantee perfect end results. The cleaning equipment and tools that our cleaners dispose with are best available. They are entirely environment-friendly and harmless to all variety of surfaces and items. With care and precision, we will manage to tackle all the dirt and dust out of your home and earn you back your deposit in full. Do not miss your chance to successfully cleanse your rental property, with our highly-efficient service in Muswell Hill, and make your landlord happy and satisfied by the end results of the cleaning.